Every year, more than 5.51 million homes are sold throughout the U.S. Of all these homes, the majority of them are sold with the help of a realtor. If you’ve been on the fence about hiring a realtor to help you sell your current home or buy a new one, it’s important to make sure you have all the facts before you make a decision. Buying and selling houses is very difficult, but the right realtor can make the process a lot easier. Read on to learn about seven reasons why you need to hire a realtor when you’re buying or selling your home. 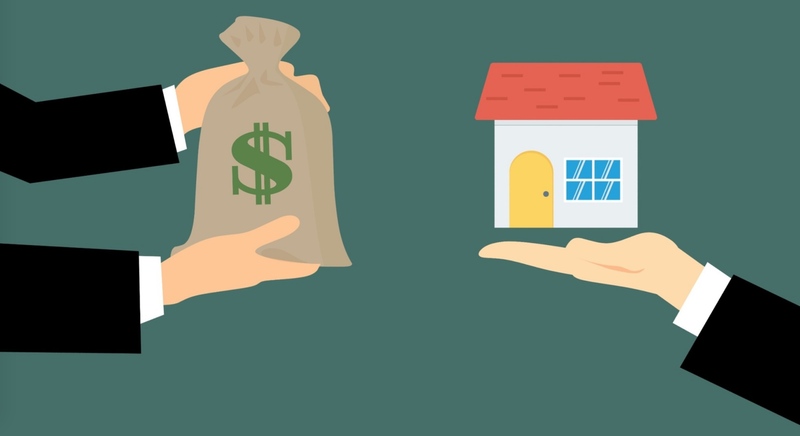 Maybe you’ve been considering selling your house yourself so you can save some money and avoid having to fork over a percentage of the proceeds from your house. This sounds like a good idea in theory, right? Here’s the thing, though: how much time do you really have to dedicate to selling your house? You probably work full-time. Assuming you want to sleep, eat, and see your kids from time-to-time, too, that doesn’t leave a lot of empty hours to take photos, make repairs, market your house, and host showings, does it? What about looking for a new house that fits your budget and is in the right neighborhood? Hiring a realtor simplifies the process of selling your home immensely. Realtors also have all kinds of connections that can be very helpful when you’re trying to sell your house. They can put you in touch with contractors to oversee home improvements and renovations. They can connect you to great mortgage lenders or lawyers, too. Don’t trust your future to a Google search for “best contractor near me.” Instead, hire a realtor who already knows who the best contractor in your area really is. How confident are you when it comes to negotiating the sales price of your house or the price of the new house you want to buy? Remember that negotiating down the price of a house is very different from negotiating down the price of an old VCR at a flea market. Instead of trying to deal with negotiations yourself, why not hire a realtor who can do the hard stuff for you? They know what they’re doing, and they have a lot more experience than you. Shouldn’t you take advantage of that experience? Speaking of sales prices, you’ll probably be able to get a better sales price for your house if you work with a realtor. Even when you subtract their commission, you can often sell your house for more when you have a professional on your side. Many people who sell their homes on their own end up lowering the asking price quite a bit just to get the house off the market. Realtors don’t just make the process of selling your house easier. They also make it easier for you to find your dream home. Realtors have access to tons of listings that you would never know about if you didn’t hire them. Don’t limit yourself to what’s available online. Reach out to a realtor and learn about great houses in your ideal neighborhood and price range. Even if you’ve moved once or twice in your life, how much do you really know about buying and selling houses? Probably not as much as you’d like to think. It’s easy to get overwhelmed when you’re moving, but a realtor can take a lot of the stress away and provide you with expert advice. Whether you’re concerned about finding a good lender, need help deciding which renovations to make before you sell, or just want to vent a bit about how hard moving is, a realtor is a great person to have on your side. They’re like an advisor, a parent, and a therapist all rolled into one. Even after all the contracts are signed and your house has been sold, you’ll probably still have some questions. For example, you might need to know about property taxes or have loose ends to tie up with your mortgage lender. Instead of trying to navigate these issues on your own, you can talk to your realtor and get clear answers from a professional. Okay, you can see that it’s important to hire a realtor. How do you make sure you’re hiring the best realtor for the job, though? If you really want to work with an experienced professional, try to hire a real estate broker instead of an agent. Brokers have more training and education under their belts. Check out this related article to learn more about the difference between agents and brokers. As you can see, there are a lot of reasons why you might want to hire a realtor to help you buy or sell a house. Keep these benefits in mind, as well as these tips for choosing the right realtor, and you’ll have a much easier time getting your house off the market and getting into your dream home. Do you want to learn more about the real estate industry? Maybe you need help choosing what kind of place to buy next? Whatever information you need, we’re here to provide it. Check out some of our recent blog posts today for all kinds of helpful tips. This article on whether or not a condo is a good investment is a great starting point.